UK-based Gospel Artiste ‘Ayo Davies’ with an exciting new single titled ‘You Are still God [Arugbo Ojo]’. Produced by Evans Ogboi. 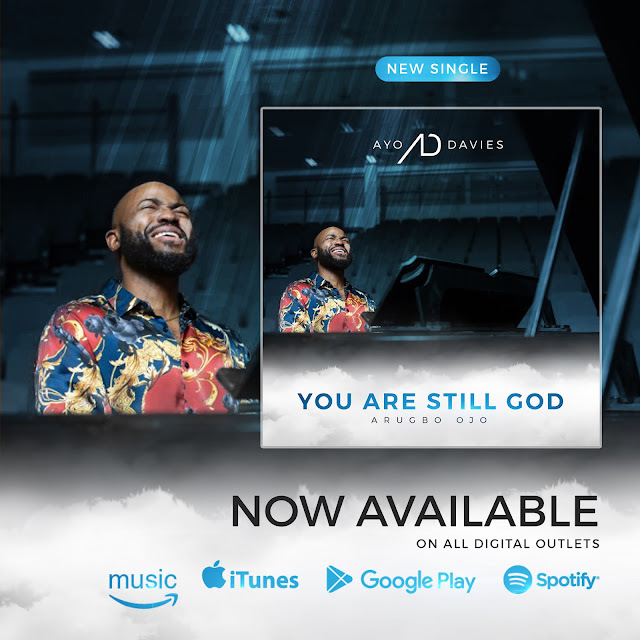 ‘You Are still God’ is a song that exalts God above all else and encourages believers to worship Him for who He is - God. “Studying the word of God in my quest to know Him better and understand His ways, I was led to the book of Exodus about how God brought the Israelites out of Egypt. The Bible makes us understand that He is the same yesterday, today and forever. The word I received was that if God did not lose the battle against Pharoah and the Egyptians, then He is not about to lose my battles because He is still the same God. I began to worship and thank Him with those words and the song 'You are still God' was written."